The lighthouse at Point Lookout State Park is surrounded by a tall chain link fence, topped by barbed wire. Which seems a little extreme for a lighthouse unless you know that it — and the entire park — is reputedly one of the most haunted sites in the US. They apparently have problems with ghost hunters trying to break into the lighthouse. Point Lookout is at the end of a peninsula at the almost southern-most point in Maryland. It is a state-owned recreational park and has the usual park amenities for fishing, camping, and picnicking. But 150 years ago, it was the site of a Civil War prison camp, where the Union housed Confederate prisoners — prisoners who don’t know, according to some, that they are now free to leave the area. Even the Maryland State Department of Natural Resources, which owns the park, devotes a web page to the hauntings. 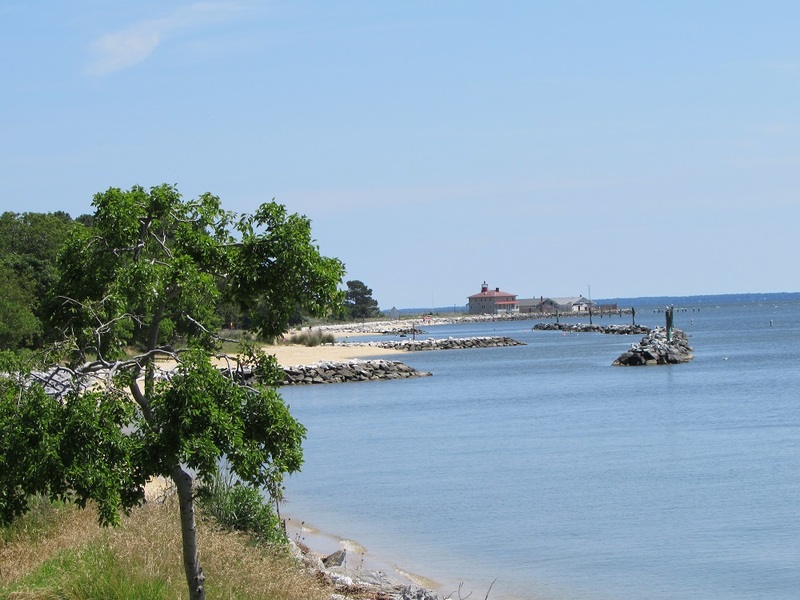 Point Lookout was a summer resort in the years leading up to the Civil War, drawing visitors with its picturesque circa 1830 lighthouse and beach. As the war heated up, however, resort business went down and the resort owner ended up renting the land to the federal government. The government first built a hospital on it, then after the Battle of Gettysburg, began sending Confederate soldiers captured at Gettysburg there. Fifty thousand men — up to 20,000 at any given time — were held at Point Lookout between 1863 and 1865. About 4000 Confederate prisoners died at Point Lookout and originally were buried in two cemeteries close to the shore. In 1870, the bodies were moved to a common grave further inland. 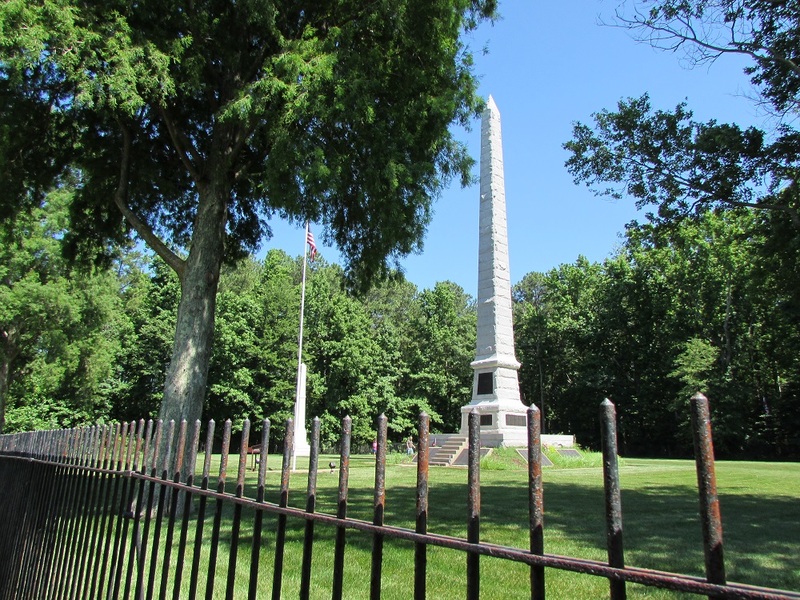 The park website says, “Open graves from which the Confederate dead were removed a century ago are still discernible near the bay shore.” Oh yes, that’s where I’d want to take my children for a picnic. The new grave site is at the entrance to the park. There’s also a privately funded Confederate memorial next to the grave site. There are a couple of other Civil War related sites at the park. 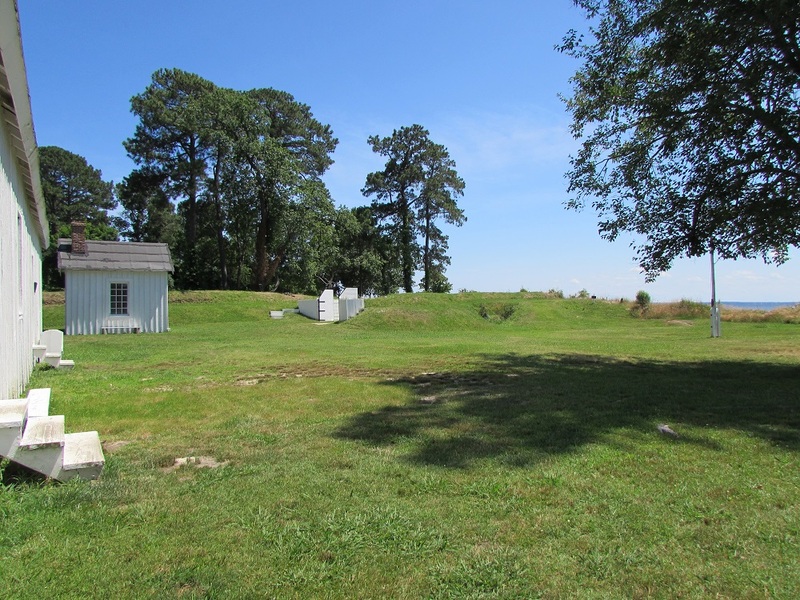 The earth works for Fort Lincoln, one of several Civil War forts on the point, still exist. Within it, a recreation of Fort Lincoln has been built, with barracks, offices and a jail. There’s also a Civil War Museum. That’s only open on Saturday and Sunday, and we were there on a Friday so didn’t see it. We also didn’t get to see the inside of the lighthouse, which is open for tours on the first Saturday of the month, May to November (though that seems to change arbitrarily so check their website if you have your heart of seeing it). The preservation group that administers the lighthouse takes advantage of its spooky reputation by holding various fundraising events around the “haunted” theme. There are “paranormal nights,” that open the building to ghost hunters at night and a 5K run around Halloween. 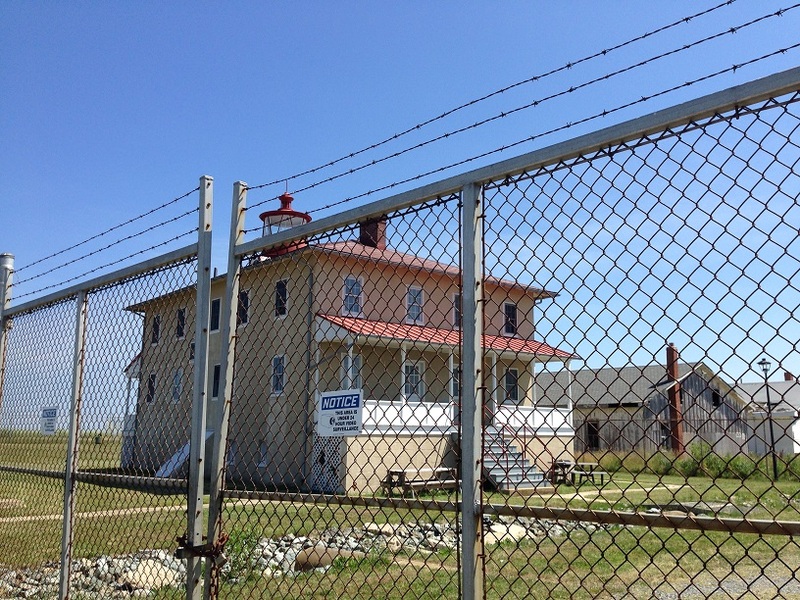 Gallery | This entry was posted in Maryland and tagged haunted lighthouse, Point Lookout. Bookmark the permalink. Sounds like my kind of place! Civil War site, lighthouse and haunted all rolled into one! Now if it were only a National Park. 🙂 I hope I get the chance to go someday. Definitely worth a visit. Not much was happening when I was there, but there are lots of reenactments and things going on. Also may want to go on a day when the museum and lighthouse are open.